The Pharmaceutical firm received the final approval for its Fluocinolone Acetonide Oil. 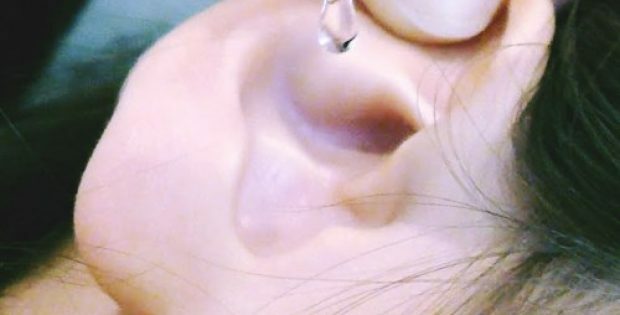 The ear drops have been suitably developed to treat eczema of the ear. Glenmark Pharmaceuticals (Glenmark), a renowned Mumbai-based generic drug & active pharmaceutical ingredient manufacturing company, has reportedly announced that it has successfully obtained the final approval from United States health regulator for its Fluocinolone Acetonide Oil. Reports cite, the U.S. Food & Drug Administration (FDA) approval is specifically for the company’s Fluocinolone Acetonide Oil 0.01%, an ear drop medication which is used as a treatment for eczema that affects patients’ ears. According to a press release by Glenmark Pharmaceuticals, the company’s Fluocinolone Acetonide Oil 0.01% is a generic version of Florida-based Hill Dermaceuticals’ DermOtic® Oil 0.01% ear drops. Reports claim, according to sales data collected by American consultant company, IQVIA™, for the 12-month-long period that ended on October of 2018, Hill Dermaceuticals’ DermaOtic® Oil 0.01% ear-drops market accomplished annual sales of about $18.1 million. Glenmark Pharmaceuticals shares were reportedly trading at approximately INR 686.30 per share recently, jumping up approximately 0.42% on the Bombay Stock Exchange (BSE). Glenmark’s present portfolio is reportedly comprised of about 146 different pharmaceutical products that have been authorized by the FDA for distribution & sale across the U.S. healthcare marketplace. Moreover, the company is also holding onto approximately 54 Abbreviated New Drug Applications (ANDAs) which are yet to receive approval from the FDA. According to reports, the U.S. selling price of Glenmark’s eczema-treating ear-drops has not been unveiled yet. Glenmark Pharmaceuticals Limited. (GPL) is a global, research-driven, integrated pharmaceutical company and is ranked among the world’s top 75 Pharmaceutical & Biotechnology firms in terms of revenue. The company is among the world’s leading players concerned with the discovery of new molecules both NBEs (New Biological Entity) as well as NCEs (New Chemical Entity). The company possesses several different molecules that are currently in different stages of clinical development & is concentrated in the areas of respiratory, oncology as well as dermatology.